Recommended for ovarian cancer patient. Can be taken in conjuction with hospital medicine and chemotheraphy. 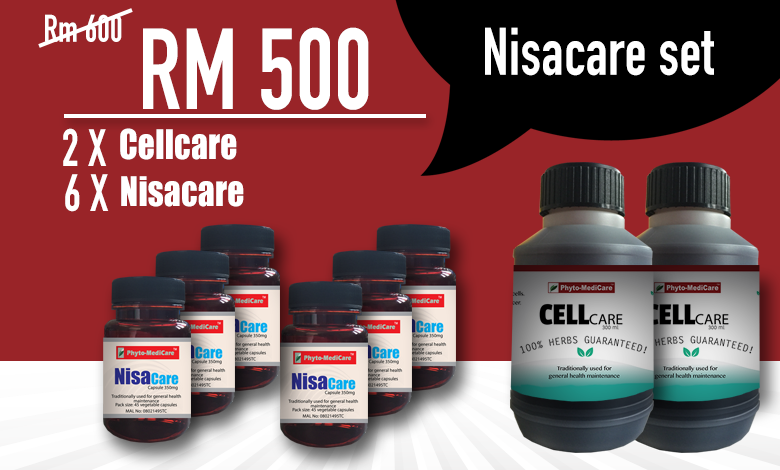 To purchase our Nisacare product individually, click here. To purchase our Cellcare product individually, click here.